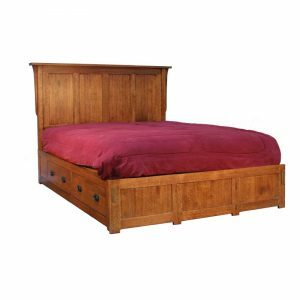 East King Spindle Bed with Medium Footboard. 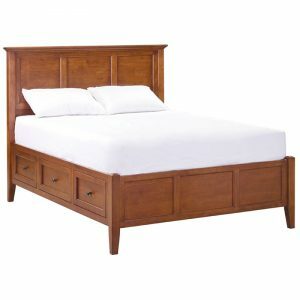 Mission Bedroom – Solid Quartersawn Red Oak. Solid Oak side and back for strength, aromatic cedar bottoms. Hand sanded English Dovetails for smooth to the touch construction.